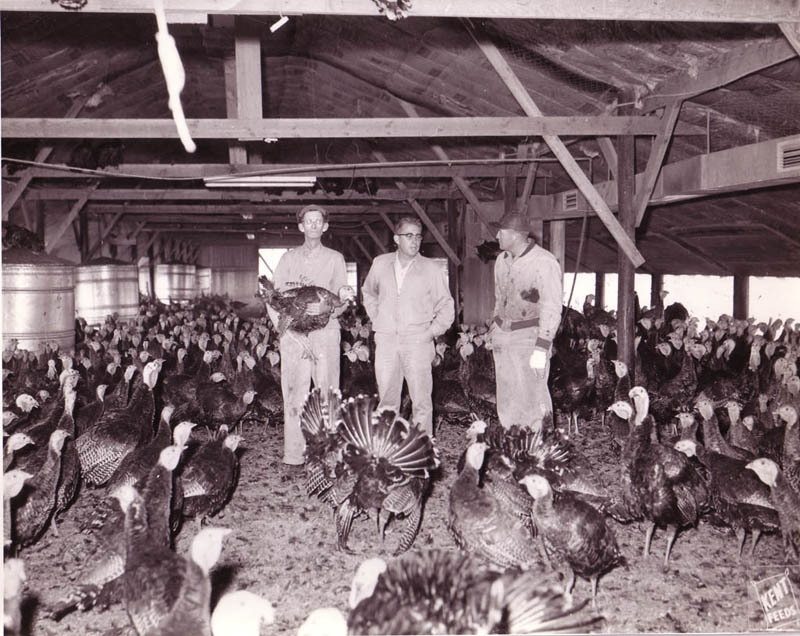 2018 is an exciting year for The Iowa Turkey Federation (ITF), as will we be recognizing our 70 years of commitment to Iowa's Turkey Industry! ITF was formed in 1948 to advocate for the enhancement of the turkey industry and its members. Turkeys began their domesticated care in the 16th century, leading to many new varieties of turkey. Black feathered turkeys were primarily raised by growers until the desire of the consumer changed. Dark feathers leave dark spots in the skin and the US Government standards downgraded this type of unsightliness. This led turkey growers to begin breeding white feathered turkeys like we have today. Today's domestic turkeys are raised in Iowa by farm families and eat primarily corn and soybeans. While turkeys were historically raised seasonally, domestic turkeys today are free to strut inside large, open poultry barns to maximize bird comfort and safety. They are protected from the outside elements, predators and disease, with continuous access to nutritious feed and fresh water, ensuring ideal growth conditions.